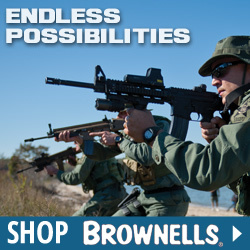 We found a great deal on the Tapco Weapons Accessories Ar-15 T6 Stock Collapsible Carbine Length for only $74.07 at Brownells. The TAPCO AR-15 T6 Collapsible Stock is designed with specific improvements over traditional models. Ideal for military and law enforcement, this stock features a reinforced latch supports and thicker buttplate to ensure a solid platform. This stock also offers six positions to fit a variety of body types or to accommodate equipment being worn. Ideal when operating in confined environments or when compact storage is required. This unit is sold as a complete installation kit, and includes the receiver extension, buffer with spring, locking nut with plate, and sling swivel. 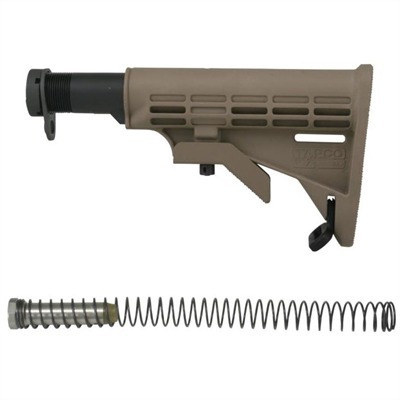 Mfg: Tapco Weapons Accessories SPECS: Manufactured of military grade composite, Fits the AR-15, M16 and M4, Six position stock adjustments.